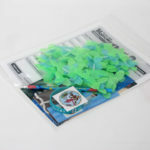 VBS kits are in stock and ready to ship! 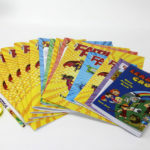 Each kit contains a leader’s guide, samples of supplementary materials, one student book, and one teacher book for each age level. Step One: Download the order form! a) I have Adobe Reader! iii) Click the “Submit” button at the bottom of the form. This will create a draft in your email account with the information pre-filled and the completed form attached. You can now send it directly to us! c) I want to fax it in! iii) Save the completed form, print it, and fax it to us at (615) 254-7411. Wherever injustice and oppression abound, there you will find the Faith Force— a dedicated team of heroes determined to fight the good fight of faith. 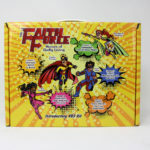 Using stories from God’s Word, Kid Kindness, the Guardian of Goodness, Captian Courage, and the Truth Titan team up to show how God wants His people to live heroic lives. Faith Force is published by the Lambert Book House. Comb the beach of a deserted island with a host of colorful characters, including Floyd, a wise flamingo; Stella, a sassy starfish; and Topher, a tentative turtle! 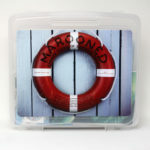 Marooned will help children explore the excitement of leading others to a relationship with Jesus. It encourages the realization that they can rest their faith in God because He will always be their strength and refuge. 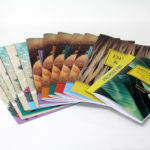 Marooned is published by Promise Publishing. 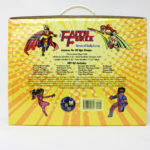 VBS kits are returnable. To receive credit, kits must be complete and undamaged. The deadline for returns is July 18th, 2019. Individual materials are not returnable.